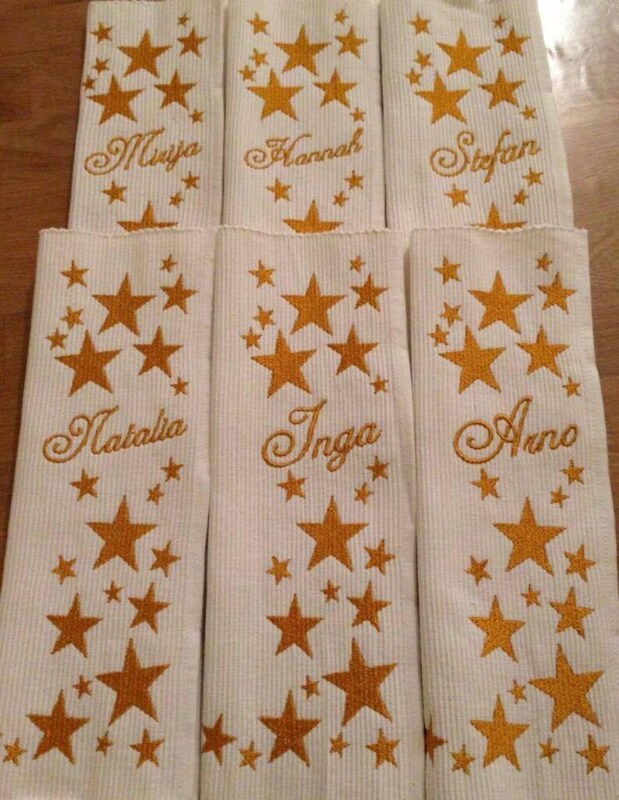 Pictured here is a personalized Christmas table set in white with a money rain of stars! A nice table companion for the pre-Christmas time. Ideal gift idea to Nikolausü or a small souvenir to the feast. You get a table-top with a name of your choice. You can freely choose the colour of the embroidery motif, please indicate this during the Bestellvrgang.